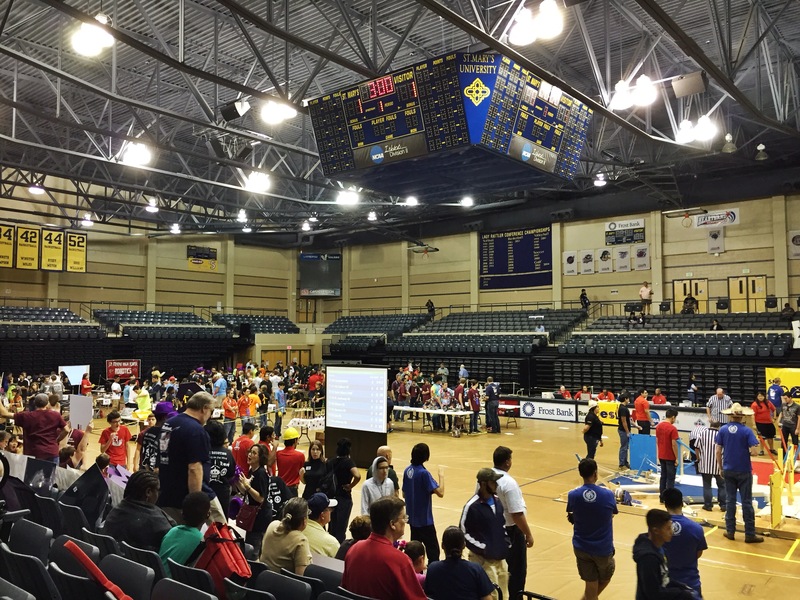 SOS attended the SA BEST (Boosting Engineering, Science, and Technology) competition this past Saturday, October 25th. The SA BEST is an annual contest held to inspire and interest students in the fields of science and engineering. Each competing team had six weeks to design and build their own robots for the competition. SOS came out to show their support and cheer on teams at this amazing event this past Saturday at St. Mary’s University. As Hadrian and SOSers exchange glances, one can’t help but notice the deterioration of this former emperor’s face. 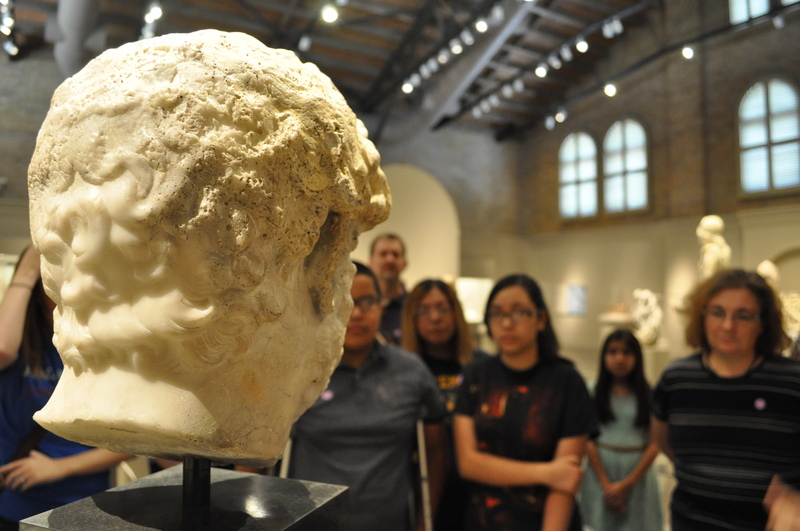 This marble head that once belonged to a full body sculpture of the Roman leader spent the majority of its existence under the sea. Prior to its aquatic life, this marble statue of Hadrian was finished in A.D. 117-135. 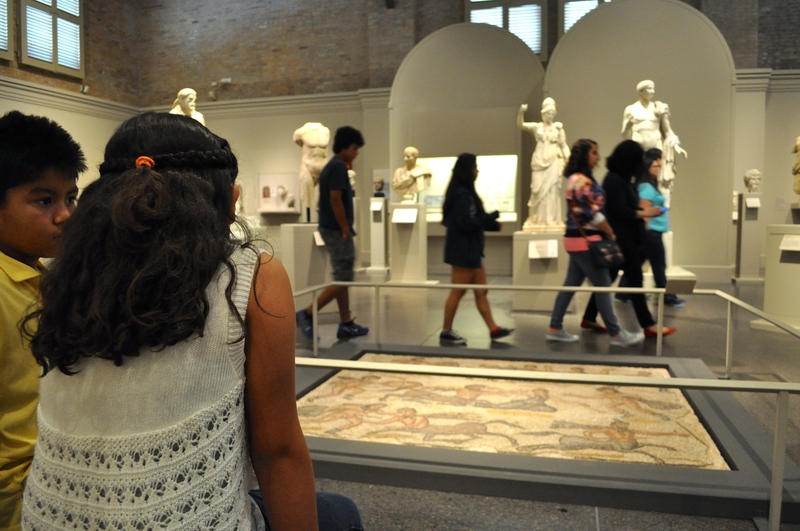 SOSers wander the San Antonio Museum of Art, stopping to admire certain artifacts like this particularly beautiful floor mosaic. This colored stone and glass set depicts the battle of Lapthis and Centaurus. This statue of Marcus Aurelius embodied the essence of a Roman leader. His nakedness and rich curls-reflections of a heroic emperor- enhanced by his military cloak and commanding scepter, captivated SOSers. Power radiated through the marble of this nearly 2,000 year old sculpture. 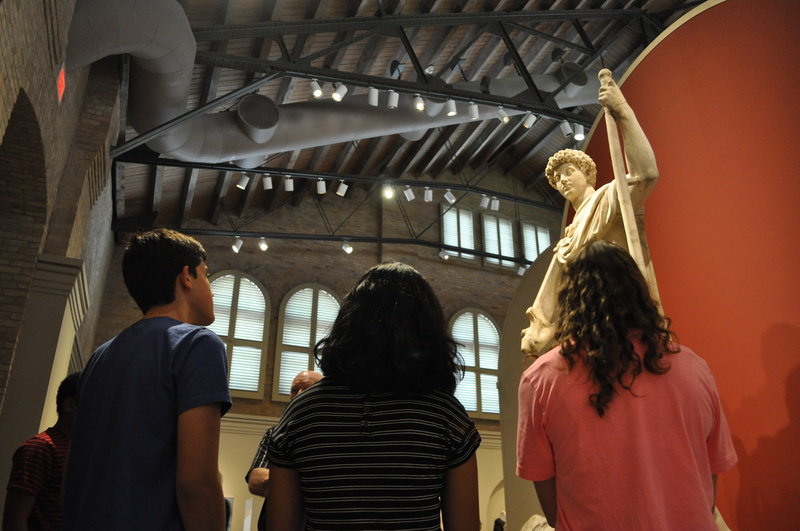 In preparation for their summer trip to Italy and Greece, SOSers admired a Cupid sculpture at the San Antonio Museum of Modern Art, while on a guided tour of Ancient Greek and Roman exhibits. 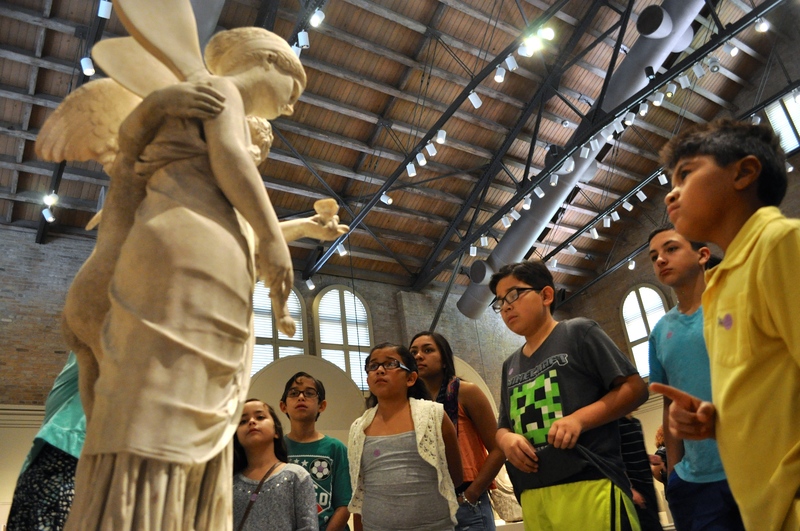 SOSers carefully analyze a cupid sculpture while on a guided tour of the Ancient Greek and Roman exhibits at the San Antonio Museum of Modern art this past Sunday. Along with other fascinating sculptures, Cupid particularly seemed to grab the SOSers attention. Here they discovered the inspiration behind the celebration of “Valentine’s Day”. This marble sculpture of Cupid and his lover, Psyche, dates back to 117-138 AD.